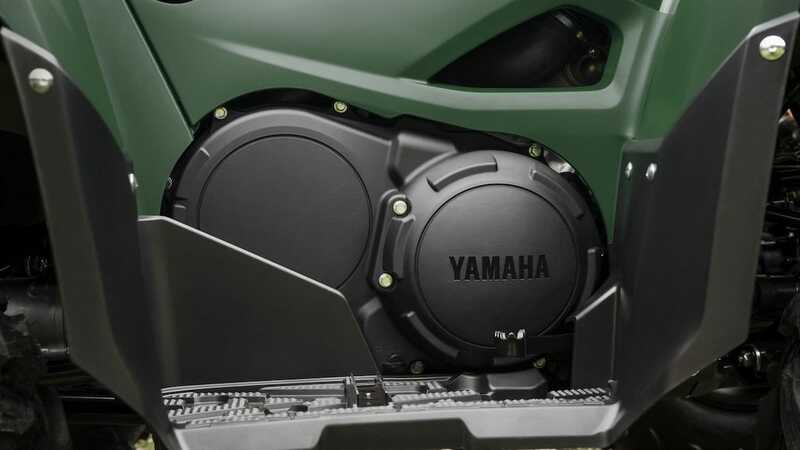 Yamaha's rugged Grizzly 700 has earned a solid reputation for being the world's toughest ATV. By making light work of heavy jobs, this rugged vehicle allows you to appreciate your surroundings. 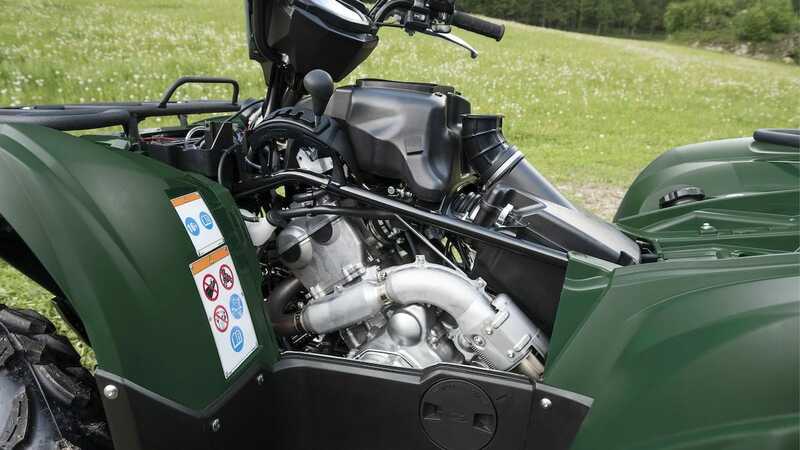 Driven by a MK II 686cc engine that delivers the power you need to do the job efficiently, the Grizzly 700 is built to work as hard as you. Its compact bodywork features LED lights and a halogen work light for powerful illumination - and the 26-inch tyres give plenty of traction. Featuring Yamaha's Ultramatic® transmission and On-Command® drive system - together with Electronic Power Steering (EPS model) - the Grizzly 700 gives you class-leading performance, style and functionality. ATVs with engines up to 70cc are recommended for use only by riders 6 years and older and always with adult supervision. ATVs with engines of 70 to 90cc are recommended only for use by riders 10 years and older, and always under adult supervision. 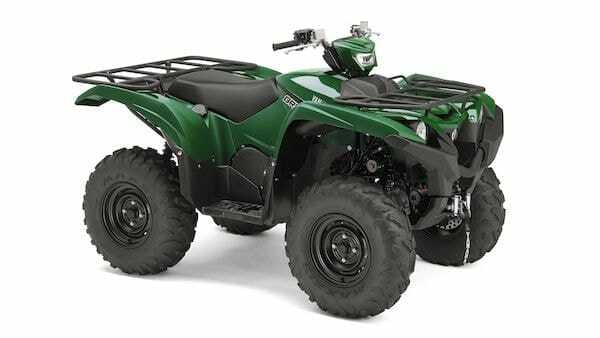 ATVs with engines of 90cc or greater are recommended for use only by riders 16 years and older. ATVs are built to operate within their design limits. Safe towable weights, together with maximum carrying capacity are identified in the owner's manual if applicable. For durability, reliability, but most important of all, operator safety, under no circumstances should the recommended capacities be exceeded. Yamaha recommends that all ATV riders take an approved training course. For safety and training information, see your dealer or call your Yamaha Distributor in your country. ATVs can be hazardous to operate. 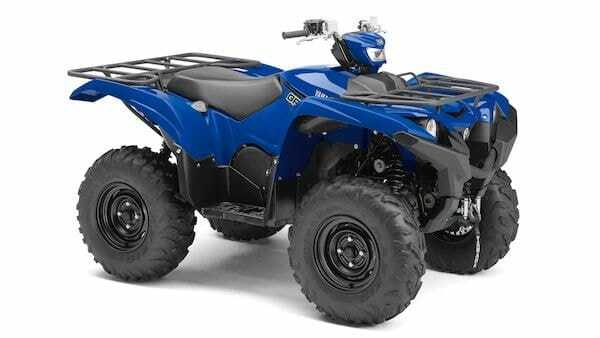 Yamaha's biggest ATV features a powerful large capacity engine that delivers class-leading torque and power. 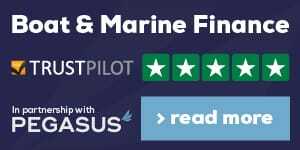 Featuring the 2nd generation MK II 686 engine SOHC 4-valve cylinder head, with EFI Throttle body, fine-tuned ECU mapping, refined tolerances and other updates results in lower fuel consumption, increased torque and a smoother engine performance. Equipped with High, Low, Reverse, Neutral and Park modes, Yamaha's industry-leading Ultramatic® automatic transmission is one of the most durable and efficient CVT systems. Featuring an instant reacting gearing to tackle the toughest terrains without losing the natural all-wheel engine braking feel, giving added confidence and control on downhills. 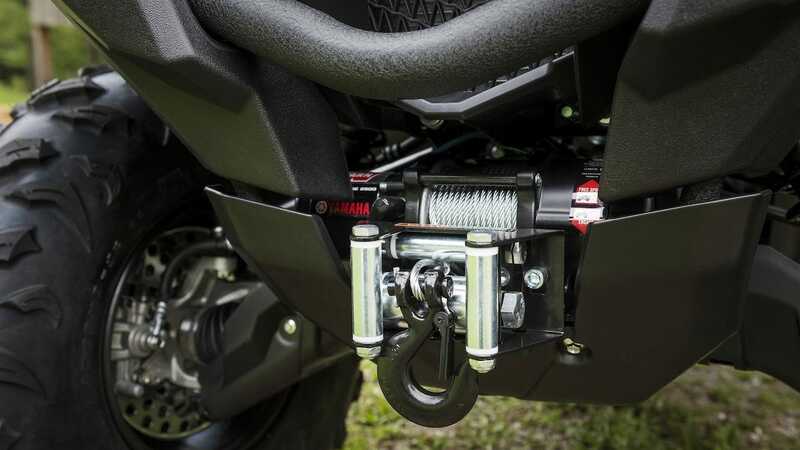 The Grizzly 700's independent suspension system uses nitrogen gas shocks that are adjustable for preload, allowing the rider to run various settings to suit differing loads. 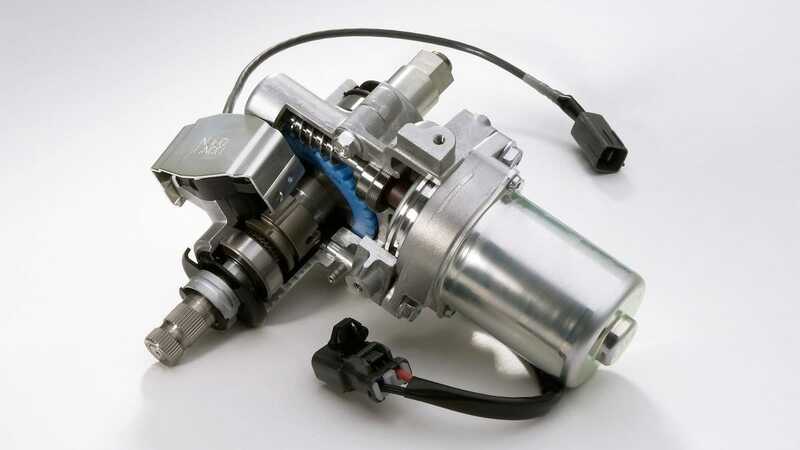 This is also the only model in its class featuring front and rear disc brakes with two-piston calipers, for outstanding braking performance with plenty of feel. The intelligent On-Command® drive system gives you convenient push button control, allowing you to switch seamlessly and instantaneously from 2WD to 4WD and back. 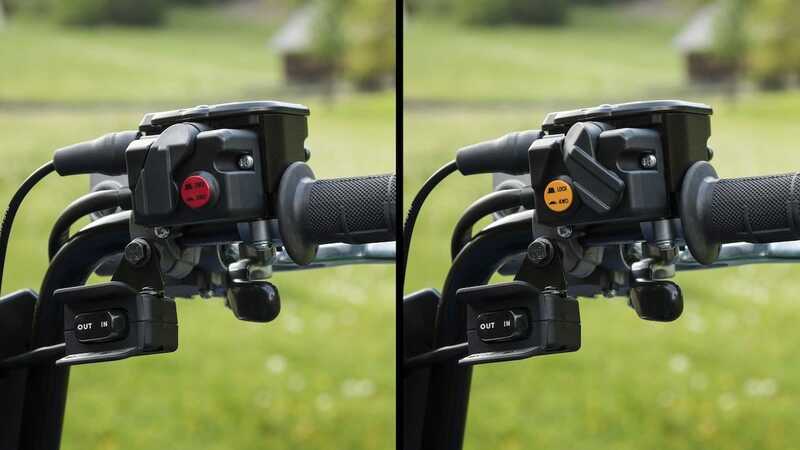 By pressing a button on the right side handlebar you can select 2WD, 4WD or 4WD with Diff Lock to optimize the Grizzly's performance in changing terrain and weather conditions. Sturdy and durable front and rear racks give a combined high load carrying capacity of 140kg, and the Grizzly 700 is capable of towing 600kg, making it a strong work companion in the farm, factory or forest. The front-mounted WARN ProVantage 2500 winch is fitted as standard for Europe, making the Grizzly 700 the ultimate compact utility vehicle. 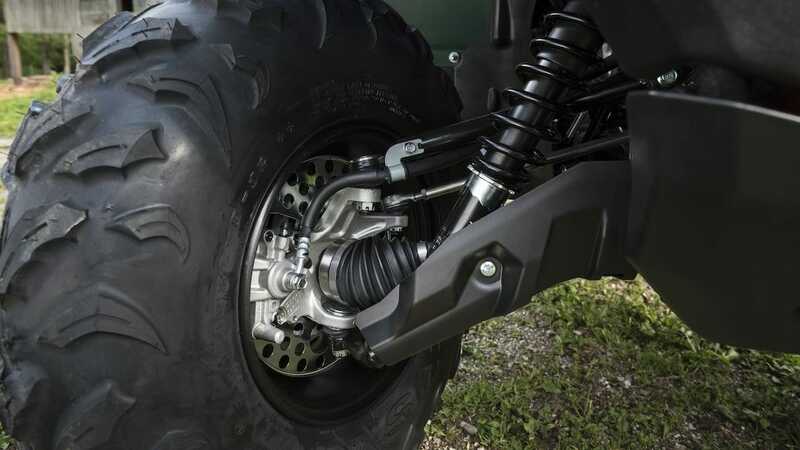 For added comfort and reduced physical effort the Grizzly 700 EPS models are equipped with Electronic Power Steering (EPS) that has been designed to offer the best balance of rider assist and positive feedback. By maintaining light steering and precise handling, this system enhances rider comfort, confidence and control. 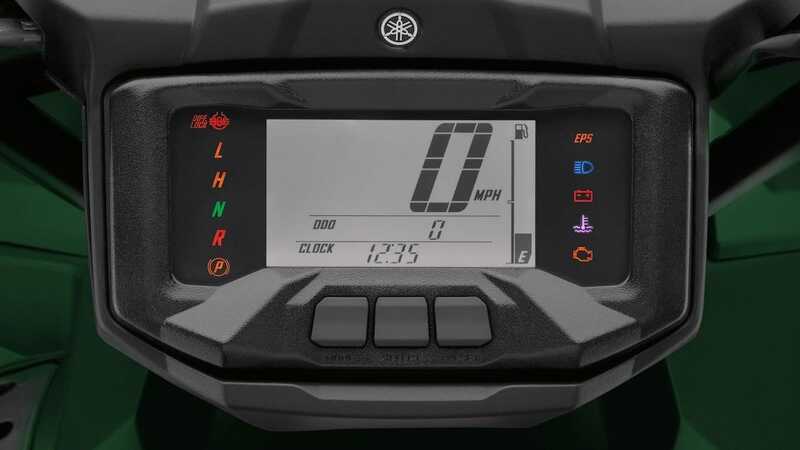 The Grizzly 700's multi-function digital instruments feature a fuel gauge, speedometer, odometer, dual trip meters, hour meter, clock, 4WD/Diff Lock status, transmission gear selector and EPS warning light and with three separate storage compartments, there's plenty of secure space for tools or personal belongings.